Democratic People's Republic of Korea top leader Kim Jong-un and United States President Donald Trump have arrived in Hanoi one day ahead of their second summit, with high expectations that the two leaders can flesh out specific steps both sides will take to achieve denuclearization of the Korean Peninsula. Kim's train, green and adorned with yellow stripes, made a stop at Dong Dang Station near the Vietnamese border with China on Tuesday morning. A welcoming ceremony was held at the station. Kim waved and smiled as he was greeted by Vietnamese officials and residents. Trump arrived at Hanoi's Noi Bai International Airport on Tuesday evening. He has expressed optimism about his upcoming talks with Kim, and tweeted aboard Air Force One, "Heading over to Vietnam … Looking forward to a very productive Summit!" According to the White House, the two leaders are scheduled to kick off the two-day event with a brief one-on-one conversation and a social dinner on Wednesday. The Hanoi talks come eight months after their historic summit in Singapore, the first between a sitting US president and a DPRK leader. No schedule for the second day has been released yet, but experts believed that Kim and Trump will have follow-up talks in a bid to realize the details of their June 12 declaration in Singapore, in which they agreed to work together for "complete denuclearization" of the Korean Peninsula, a transformation of DPRK-US ties, and peace on the peninsula. Whether the two will hold a joint news conference after the talks－which experts believe will occur if the two leaders reach a satisfactory deal－is a possibility being keenly monitored by international media outlets. On Tuesday, Foreign Ministry spokesman Lu Kang said China welcomes the second Kim-Trump summit and hopes substantive outcomes will be achieved. China is a keen promoter of a denuclearized, peaceful and stable Korean Peninsula, but the goals cannot be achieved without joint efforts from the DPRK and the US, he said. Shi Yuanhua, a professor of Korean Peninsula Studies at Fudan University in Shanghai, said holding a second summit is a positive signal that US-DPRK ties have improved. Although the two countries' relations have not always been smooth, the overall trend has been upward since the two leaders' first summit, he said. "And what comes next after those ice-breaking gestures will be the real bargaining process between the two." The second summit should be a suitable time for the two to discuss how to reach a consensus on a phased, synchronized approach to denuclearization, and to formulate a comprehensive and detailed road map within a short time frame will be challenging for the two sides, he said. Koo Kab-woo, a professor at the University of North Korean Studies in Seoul, said he did not anticipate the Hanoi summit to end with a deal that sees the DPRK immediately abandon its nuclear weapons, but he urged Washington to be open to taking interim steps for any agreement to be possible. 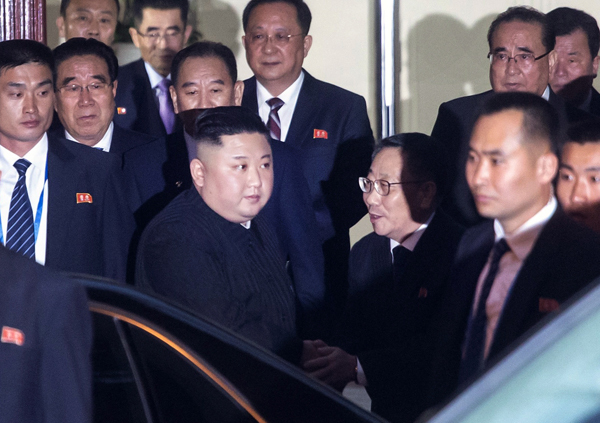 Koo said the talks in Hanoi will see Washington give Pyongyang some concessions on the political, military and economic fronts, but he also warned against ending the summit in the same "vague" manner as the Singapore summit.